A question i asked myself before i went to Italy was, "I wonder if i would get sick of Italian food?". I have to say, i don't know the answer to it. I spent seven (7) days in Italy and told myself to not give myself the chance to finding out the answer, mostly because i am afraid the answer could turn out to be "Yes you CAN." 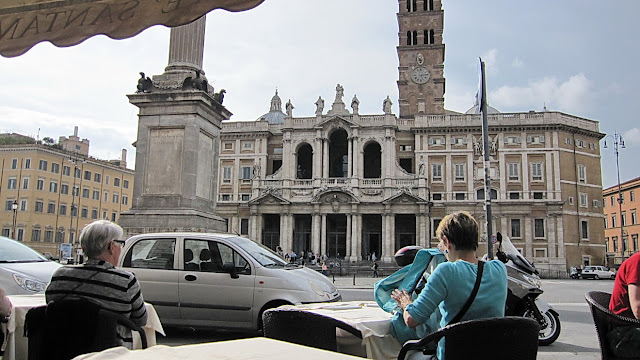 Although at one point, and that point was in Rome, i couldn't decide if i wanted pasta, pizza or risotto, and decided it was time to take a break from Italian food. 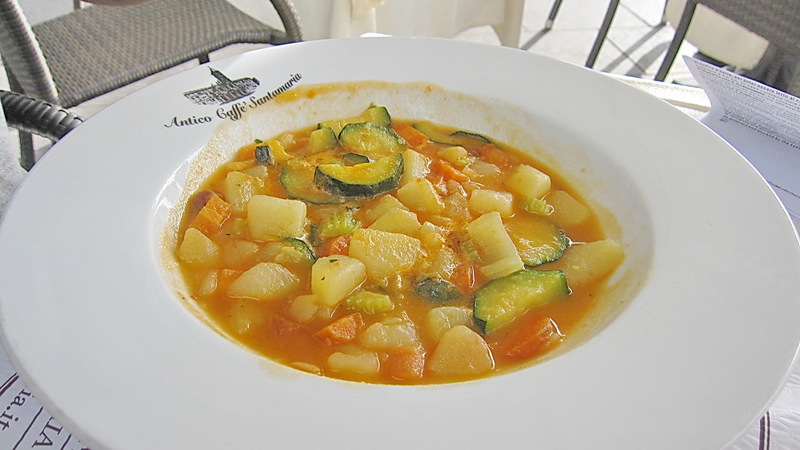 But nevertheless, being in Italy and enjoying Italian food was probably the best part for of the trip for me. I wished i have the appetite to eat two lunches and three dinners everyday. There was a cafe really nearby to where we were staying in Rome. The great thing about being in Italy when we were there was the good weather, so it was really lovely to be outdoors all the time. We bagged a spot at one of the tables outside the cafe to enjoy a little view. Not the best view, but it's quite Rome-ish to stare at while enjoying our food. I ordered the spinach and ricotta cheese cannelloni. 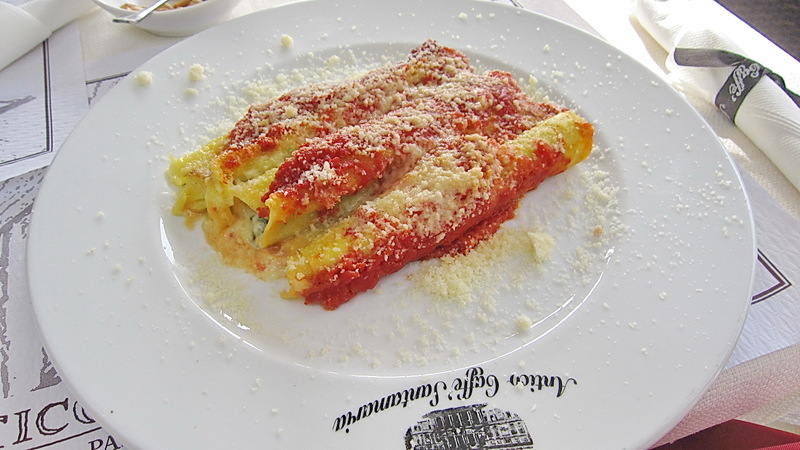 I had NEVER had a cannelloni, ever! Cannelloni is considered a type of pasta by the way. 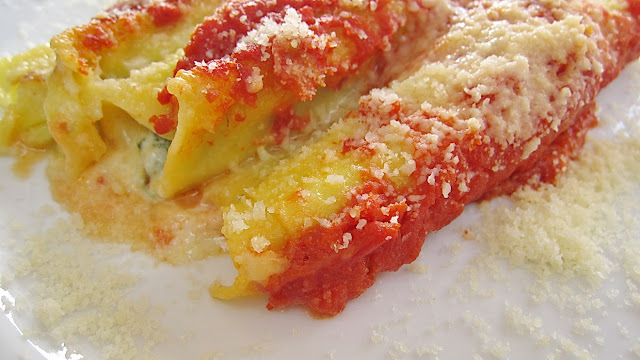 I actually learned about cannelloni from Giuliana & Bill; there was an episode in which Giuliana attempted to make cannelloni, using her mom's recipes i think and she apparently failed miserably at it. Her cannelloni might have tasted bad but it looked good to me anyway! I never came across a restaurant that serves cannelloni in Malaysia, so i was pretty excited to eat my first one in Italy itself, and in Rome, no less! It tasted pretty good to me! I finished every scrap, which is rare for me if you must know. I have a reputation of not finishing my food when eating outside, delicious or not. I must have been really hungry at the time, but the cannellonis were delish! When the plate first arrived, i was like, "OK, three tiny cannelloni and they're charging us more than 10 euros for them? Ceh!" but i clearly underestimated their prowess. By halfway through my second cannelloni, i was practically full already. And Shah helped me finish them of course. The carbs wrapping the fillings did their job well. I wished there was more sauce inside and outside though! 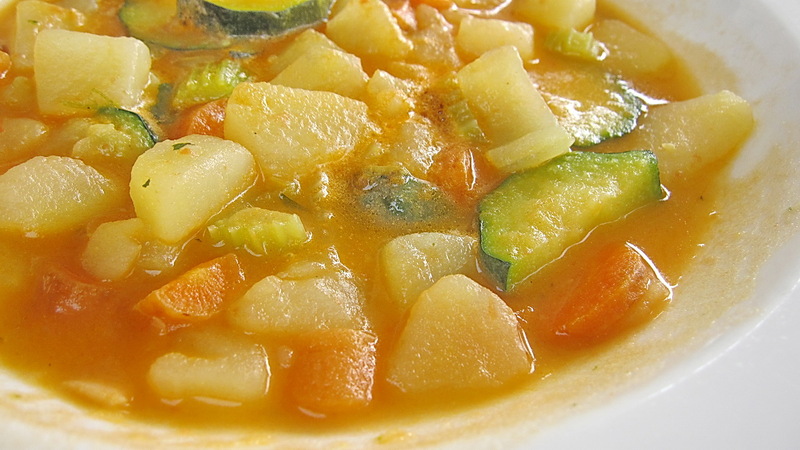 Shah wanted to give Italy's vegetable soup another go. Obviously it didn't taste as good as my cannelloni, but it was still tasty. I helped Shah finished this too. We had three nights in Rome, but they went by in a blur. There are so many places to visit that eating actually became secondary, even tertiary. It was convenient for us to eat wherever was nearest, so we visited the same cafe a second time on one of the nights to try out their Napoletana pizza. I think the first time i tried a Napoletana/Napolitana pizza was at Ben's in Bangsar Village, which was a little too salty for me. 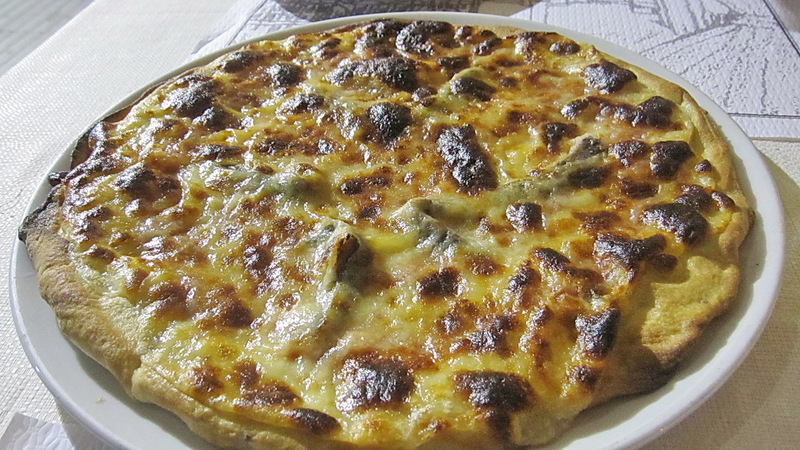 This one got the saltiness just right, but i much prefer the rustic feeling of the pizza in Milan, or even in Ben's. I guess if we ever missed the pizzas in Italy, Ben's is a pretty good alternative! Rome is a FANTASTIC city to visit. The history is so rich here, and the fact that pieces of that history are preserved is absolutely amazing. 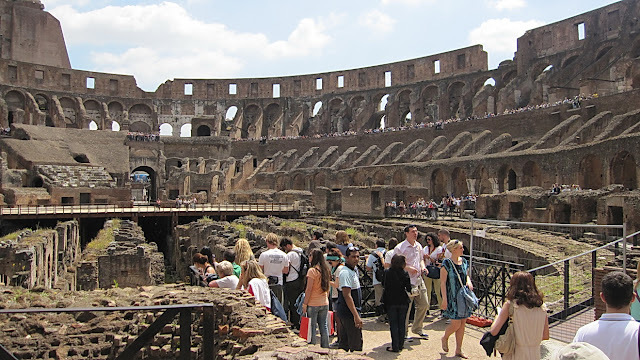 You're all familiar with Colosseum of course, and the Roman Forum located next to it is not to be missed as well; some might even say it evokes more magic than the Colosseum. To think that a whole civilisation existed there, with Julius Caesar himself walking up and down those roads (he did, right? i think he did). A word of advice: you might want to consider getting yourself an online ticket to enter the Colosseum. The line was reeeaaallyyy long when we got there. The line snaked around the pillar as well, so believe me, it really was super long. Thankfully Shah had the sense to buy tickets in advance. We went in spring, so i bet the line will be worse in summer. That's Shah, inside Colosseum. Looking for me. There, he spotted me! Shah and i loved Angels & Demons so we made the effort to visit the places included in the book as well, which was quite a journey! So there you go. Next, Venice!